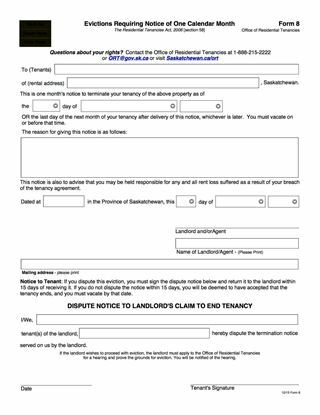 Before you can raise the rent on a tenant's rental unit, you must properly serve your tenant with this Saskatchewan Form 5 Notice of Rent Increase, from the Office of Residential Tenancies. Landlords must give 1 year's notice prior to a rent increase. Landlords cannot raise the rent within the first 18 months of a new tenancy. This is an easy-to-use form and is free to download. Just fill it in and print. You can re-use it over and over. 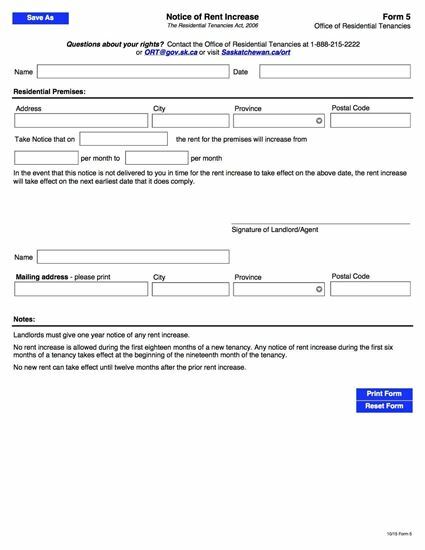 Download your free copy of the Saskatchewan Form 5 Notice of Rent Increase today.